Mary Schäffer was a photographer, writer, and cartographer from Philadelphia, well known for her work in the Canadian Rockies at the turn of the twentieth century. Colleen Skidmore’s engrossing study asks new questions, tells new stories, and introduces women and men with whom Schäffer interacted and collaborated. It argues for new ways of thinking about the significance and impact of Schäffer’s work on historical and contemporary conceptions of women’s experiences in histories and societies in which gender is fundamental to the distribution of power. 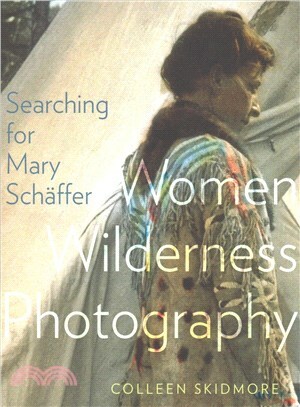 Scholars and readers of women’s photography and writing histories, as well as wilderness and mountain studies, will make new discoveries in Searching for Mary Schäffer. Colleen Skidmore is a photography historian and Professor at the University of Alberta in Edmonton. Her research focuses on women’s photographic practices and archives of women in photography in North America from 1860 to 1920. She is the editor of This Wild Spirit: Women in the Rocky Mountains of Canada (UAP).